Golfers will enjoy very special advantages at the Hotel Pulverer. Our guests will love the flexibility of the new Alpe Adria Golf Card and can choose from 20 of the most beautiful golf courses in Carinthia, Italy or Slovenia. 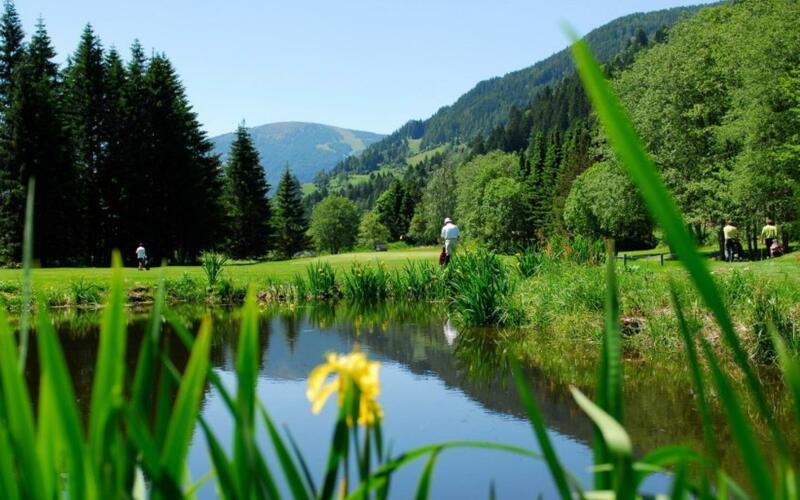 Love playing golf on your holiday? 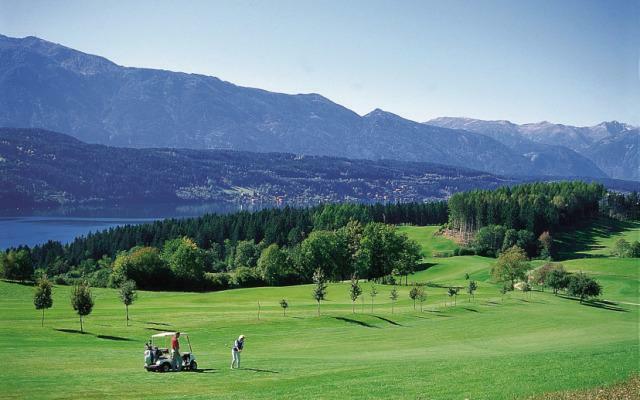 Then a golfing holiday in Carinthia is the perfect choice for you! Enjoy the classic comforts of a 5-star hotel during your golfing holiday at the Hotel Pulverer. 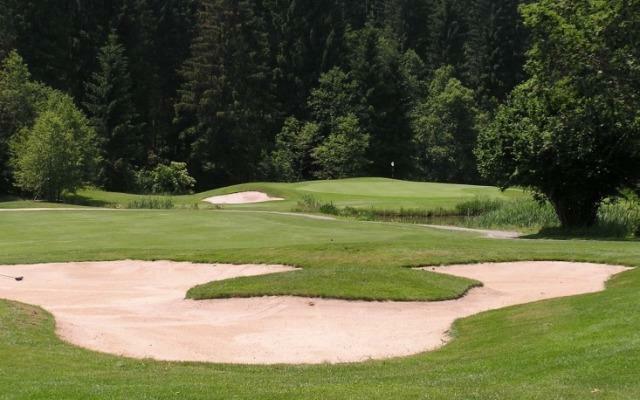 There are plenty of great golf courses to choose from near the Hotel Pulverer, for example the 18-hole Kaiserburg championship course at an altitude of 1,050m above sea level. 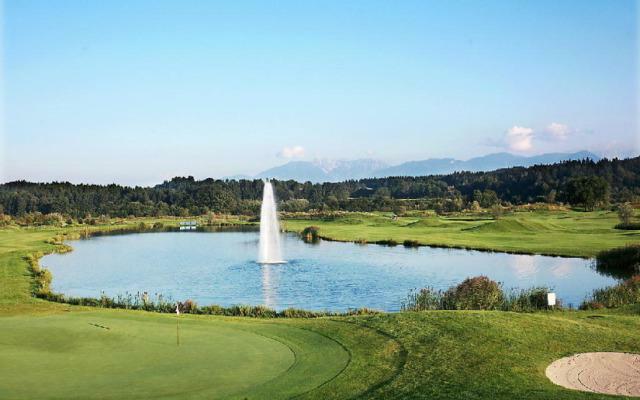 Guests of the Hotel Pulverer can enjoy a total of 20 golf courses in sunny Carinthia, in Italy and in Slovenia and will love the great advantages made possible thanks to the new Alpe Adria Golf Card. 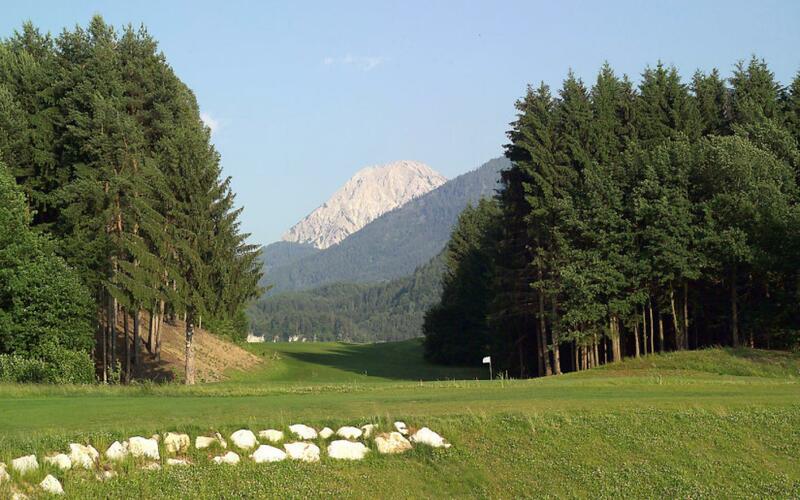 Book your tee-times right at the Hotel Pulverer reception and look forward to plenty of variety at 20 top golf courses in Carinthia as well as in Italy and Slovenia from March until October. Even if you aren’t a golf pro, you’ll still find special beginner golf packages. Book golf lessons for kids – who knows, maybe your little one is the next Tiger Woods! Sound too good to be true? We at the Hotel Pulverer know what makes golfers happy. Choose our 5-star hotel and spa for your next golfing holiday in Bad Kleinkirchheim and send us your non-binding enquiry today!